Club fashion show at the Jacob Javits Center in New York City, on January 9, 2016. 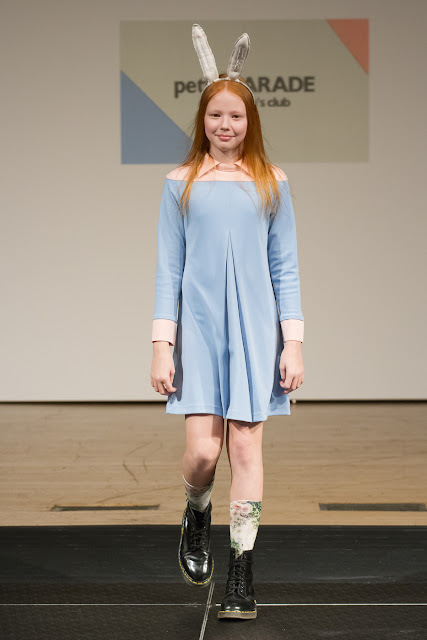 Children's fashion platforms petitePARADE and the Children's Club teamed up to present a children's wear runway show on Monday January 9th, at the Jacob Javits Center in New York City. The fashion show featured twenty-four brands that specialize in kids wear. Each participating brand presented between one to three outfits, with some accessorized with bags provided by State Bags. 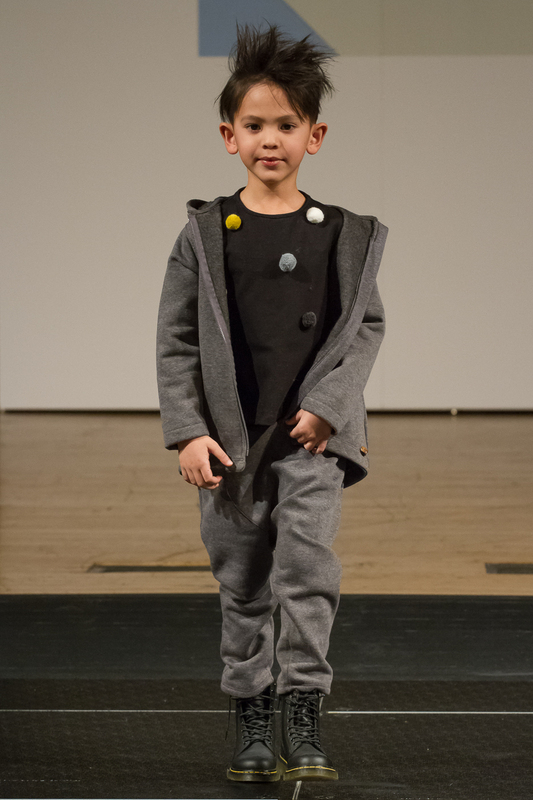 The clothes covering both girls and boys catered to ages ranging from toddler to tween. One really cute outfit for small girls is a blue and white stripe dress with sleeves, and white see-through overskirt with small blue bows from the Doe A Dear collection. It's great for baby showers and/or recitals. Mod Girl offers great choices for a sporty, active, girl about to enter her teens. A standout look in particular is a colorful exercise pant worn with a black zipup hoodie and pink long sleeve tee. 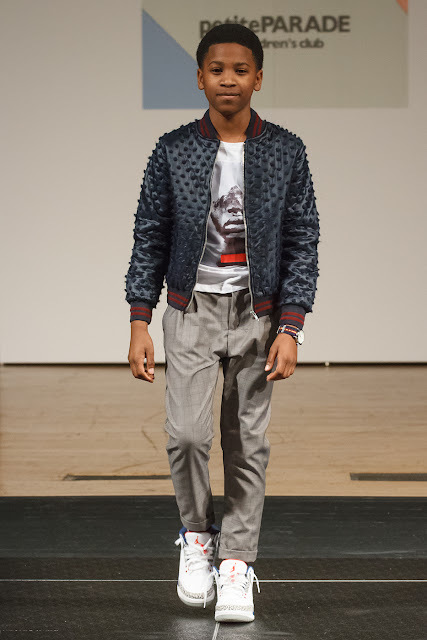 Among the boys wear, Fun & Fun showcased a super stylish blue jackets with red strips on the cuffs and collar, with soft, tiny rivets across the surface of the jacket. 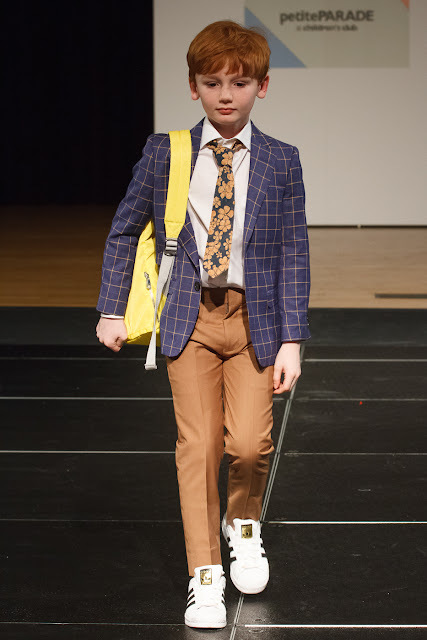 A cool and dressy look from the TO Collection with a ensemble of brown trousers, white shirt, blue and orange tie, and blue blazer with orange boxes. 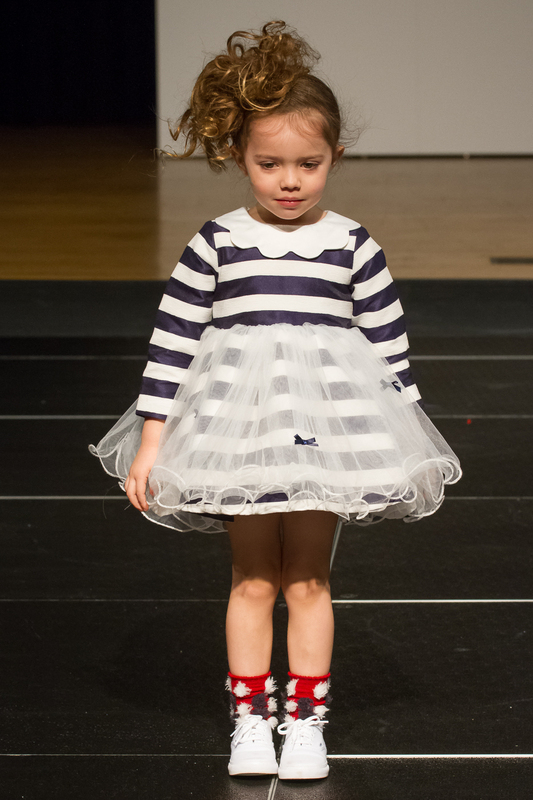 All looks from the runway show can be viewed at petitePARADE at Children's Club. show at the Jacob Javits Center in New York City, on January 9, 2016.